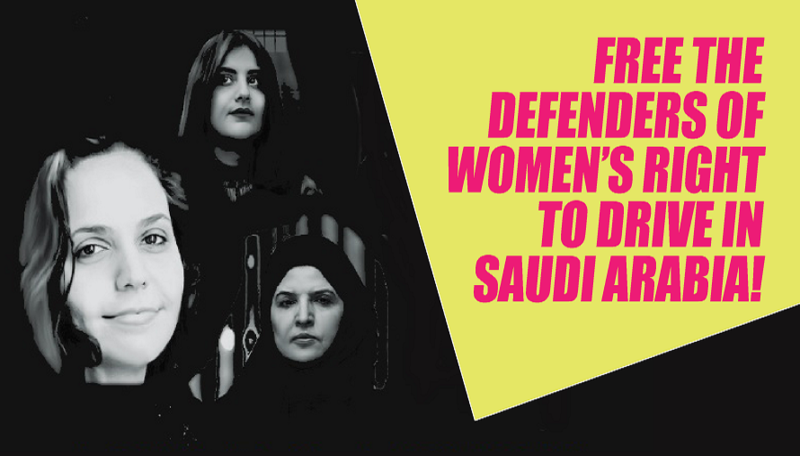 FREE THE DEFENDERS OF WOMEN’S RIGHT TO DRIVE IN SAUDI ARABIA! 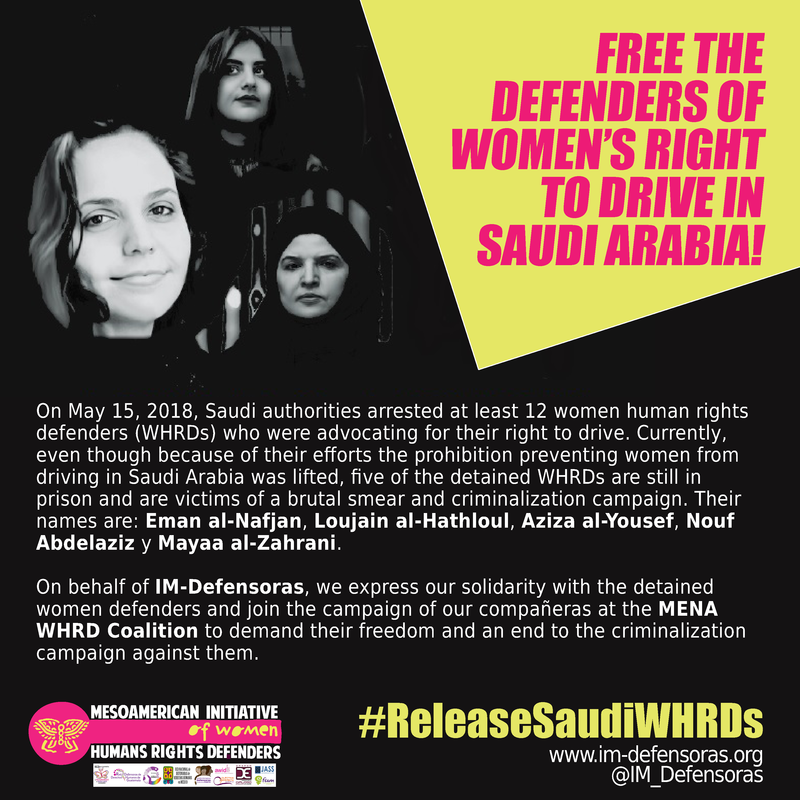 On May 15, 2018, Saudi authorities arrested at least 12 women human rights defenders (WHRDs) who were advocating for their right to drive. Currently, even though because of their efforts the prohibition preventing women from driving in Saudi Arabia was lifted, five of the detained WHRDs are still in prison and are victims of a brutal smear and criminalization campaign. Their names are: Eman al-Nafjan, Loujain al-Hathloul, Aziza al-Yousef, Nouf Abdelaziz y Mayaa al-Zahrani. On behalf of IM-Defensoras, we express our solidarity with the detained women defenders and join the campaign of our compañeras at the MENA WHRD Coalition to demand their freedom and an end to the criminalization campaign against them.